Police seize cash, phones, 468 suspected carfentanil pills, plus cocaine, codeine, and methamphetamine. 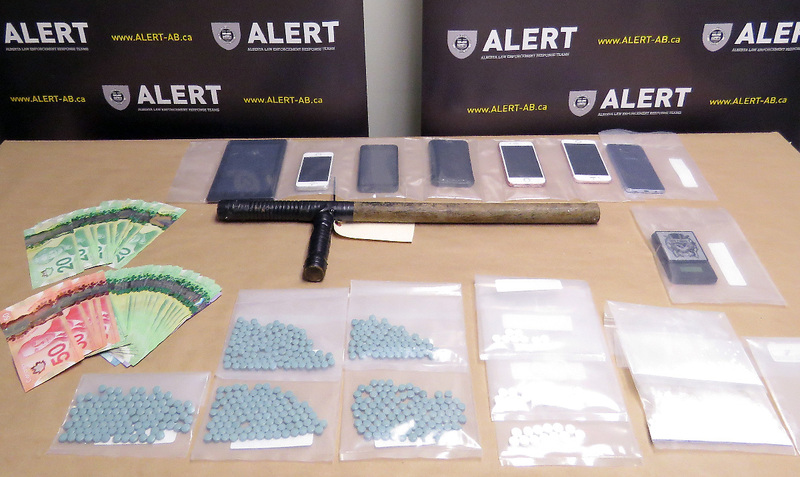 Two more drug dealers are off the streets of Southern Alberta. 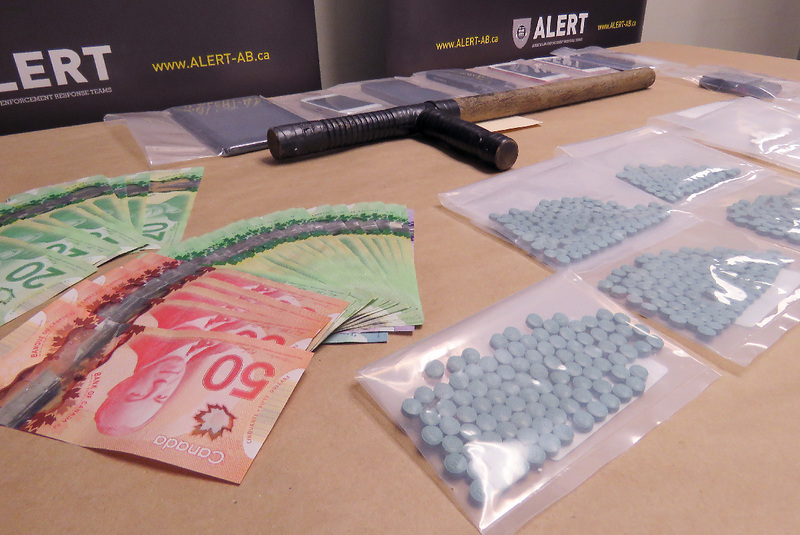 Police arrested two people and seized close to 500 suspected carfentanil pills in a March 26th drug bust. The four-month investigation involved officers from ALERT Lethbridge, the Blood Tribe, Lethbridge and Taber police. Not only did police confiscate the pills, but also cocaine, codeine pills, meth, and just over $1200 cash. 32 year old Corey Amyotte and 26 year old Keisha Tallow were charged with various drug related offences including supplying drugs to the Blood Tribe Reserve. Both were released on bail.